Paul Candies, a new Inspection Maintenance Repair (IMR) vessel built by Candies Shipbuilders and owned by its parent company Otto Candies, LLC, is equipped with three different SCHOTTEL propulsion systems. Its two Combi Drives, two transverse thrusters and one retractable rudder-propeller ensure maximum manoeuvrability and a high free running speed for the US-flagged IMR vessel. Caption: “Paul Candies”, a new Inspection Maintenance Repair (IMR) vessel built by Candies Shipbuilders and owned by its parent company Otto Candies, LLC, is equipped with three different SCHOTTEL propulsion systems. Due to two type SCD 560 STP SCHOTTEL Combi Drive azimuth thrusters the diesel-electric vessel reaches a speed of 14 knots. The 2600 kW SCD 560 STP features the proven SCHOTTEL twin propeller concept. By sharing the load between two propellers, this concept increases propulsion efficiency and reduces fuel consumption over single propeller systems. Beyond this, two type STT 5 FP bow thrusters (each of 1,050 kW) and one 800 kW type SRP 260 R FP retractable bow thruster ensure precise and high manoeuvrability in DP mode. 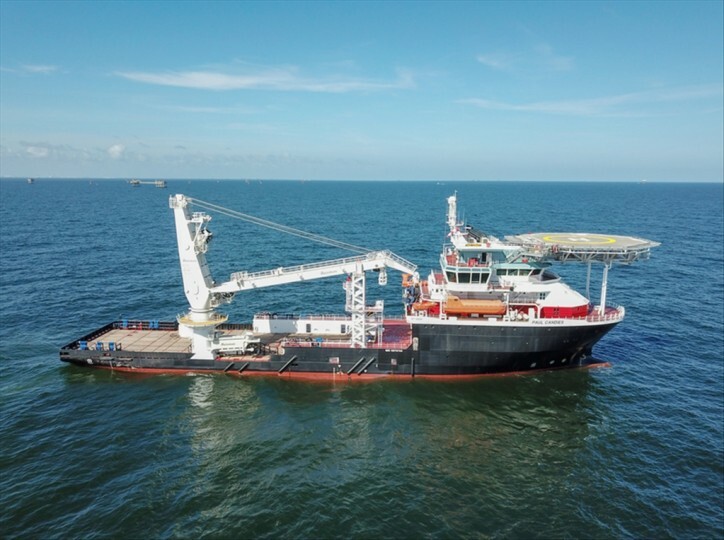 Otto Candies, LLC deploys the MT6020 Marin Teknikk design vessel in the worldwide offshore industry. The 101.25 m long and 20.60 m wide vessel is named after Paul Candies, the long-time President of Otto Candies, LLC. “Paul Candies” joins the other 42 vessels in the Otto Candies, LLC fleet. 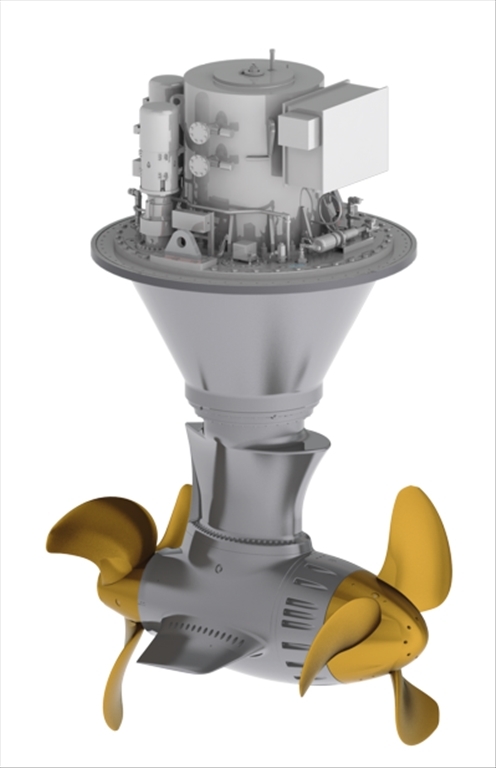 With the SCD L-Drive design principle, the electric motor is integrated vertically into the Rudderpropeller, resulting in a highly efficient variant of the SRP and STP propulsion units. The elimination of the upper gearbox has numerous advantages such as reduced mechanical losses, low noise and vibration levels as well as fewer maintenance requirements. The SCD therefore features a very compact thruster which offers approximately 20 percent space savings compared to Z-Drive installation. This gives additional room for further equipment and fits vessels with limited deck height perfectly.